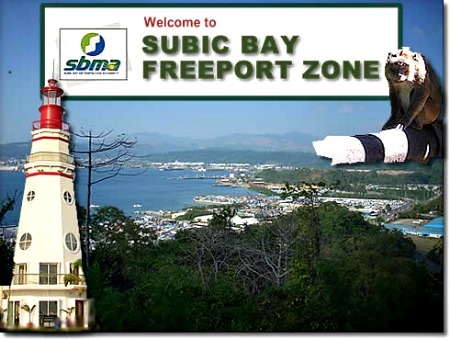 Over 1,900 of the most creative and skilled secondary students in the country will be in Subic Freeport from April 7-9 for the 2014 National Festival of Talents (NFOT), which coincides with the staging of the National Schools Press Conference. “NFOT aims to provide opportunities for students to showcase their talents and learning in language, arts, social studies, and technology and livelihood education through an exhibition of their products and performances and provide parallel learning sessions for teachers and students to enhance their knowledge and skills in their respective fields of interest,’ Department of Education Central Luzon Regional Director Isabelita Borres said. Carrying the theme “Optimizing Creativity and Innovation for Social Change and Development,” NFOT 2014 has six disciplines namely Technolympics, Television Broadcasting, Sining Tanghalan, Population Quiz, Tagisan ng Talino, and Foreign Languages. “In Technolympics, students compete in mini cabinet organizer making, t-shirt printing and designing, steel baluster making, nail art with hand massage, coming up with casual children’s wear, hair styling with facial make-up, experimental fish dish, landscaping, experimental cookery from dressing to meal presentation, tarpaulin designing, web page designing, PC assembly with configuration and networking, and marketing of products,” Borres shared. In Television Broadcasting, students of pilot schools with Special Program in Journalism shall come up with an actual newscast complete with an infomercial. Moreover, Sining Tanghalan shall consist of Bayle sa Kalye (Modern Street Dance Parade), Likhawitan (Original Pilipino Music Songwriting Exhibition), Pintahusay (On-the-spot Painting), Sineliksi (Documentary Film Exhibition), and Manik-Aninong Dulaan (Scriptwriting and Shadow Puppetry Exhibition). “Population Quiz shall test the knowledge of contestants on family life and responsible parenthood; gender and development, population and reproductive health; and population, environment, resources and sustainable development. It shall also have poster making, essay writing, and jingle writing and singing contests that is centered on a particular population-related theme,” Borres added. Tagisan ng Talino, on the other hand, requires participating groups to come up with two-minute movie or television program trailers wherein two days will be allotted for development of script, shooting and editing.